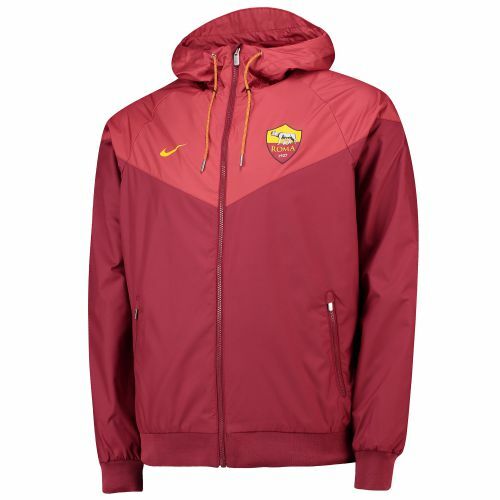 Train like a Serie A star in all conditions with the AS Roma Authentic Windrunner. Featuring the classic chevron windrunner design in Roma colours, the jacket delivers authentic club styling with a functional construction for comfortable gameplay in wind and rain. The durable, lightweight jacket has a waterproof shell with a mesh lining and back vent for comfortable breathability. The high neck and adjustable hood provide additional protection.